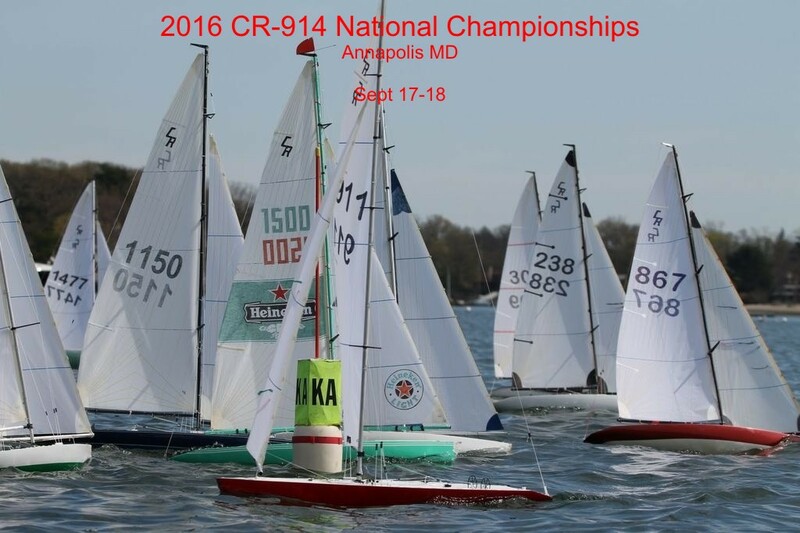 On behalf of the club members of Chesapeake Bay Model Racing Association I would like to invite you to the 2016 National Championship Regatta for the CR-914. CBMRA will be hosting the regatta at Warrington Farm Pond on Warrington Farm Lane in Queenstown, MD. We will kick off the Nationals Friday with some boat measurement and check-in at Dave Ramos’s shop in Stevensville on the Eastern side of the Bay Bridge. Racing will commence at 1030 hours on Saturday at Warrington Farm pond. The numbers of entries we receive will determine the regatta format. We are going to try to sail under the promotion-relegation format for the entire weekend. While I know there will be some great sailing and competition at the regatta the best part of the regatta will be social aspect of it. No matter what your sailing level is please come join us and I assure you that you will have a great time! Your best pricing for hotels is across the bay bridge on the Annapolis side (there are three just over the bridge). The hotels in the Kent Narrows area seem to be overly expensive. Copyright © 1999 - 2016 [C.P.M.]. All rights reserved.